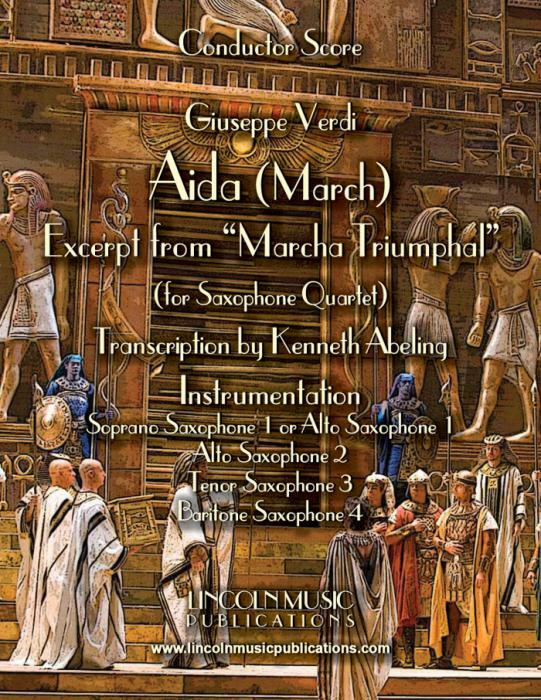 This is an excerpt from Giuseppe Verdi’s Triumphal March from Aida transcribed here for Saxophone Quartet. This transcription/arrangement is very suitable as a Processional or Recessional march and is advance intermediate in difficulty. Playing time: 1:40.